Natural soy blend wax candle in a convienent travel tin. Take the Votivo mystique with you. 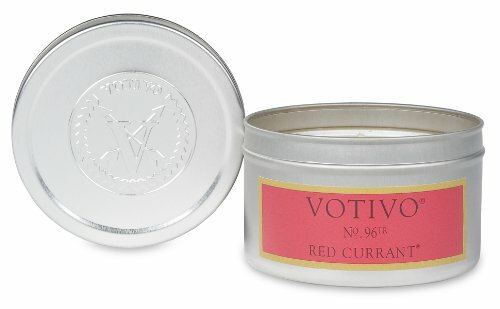 Fragrance description: Red currants with sweet vanilla and raspberry. Burn time 30-40 hours.